Redmond Insider’s parent company Espacio announced today their strategic acquisition of Novobrief.com, the popular English publication that covers startup news in the growing entrepreneurial ecosystem of Spain. Through the acquisition, Espacio aims to promote the publication’s growth and to give a voice to Spain’s tech scene, as Novobrief is among the top English media publications covering innovation news in the region. Tim Hinchliffe will come on as senior editor of the publication and is anticipated to bring to the team his proven investigative skill and knack for finding fascinating stories. 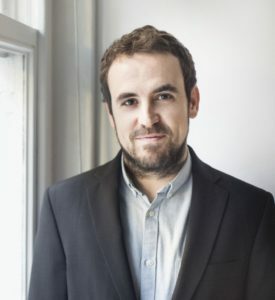 “As more eyes look to Spain as a strategic tech hub, we are excited to continue this mission of sharing Spain’s own inspiring stories of growth and exploration in the startup sector,” said Espacio CEO Conrad Egusa, commenting on the announcement. 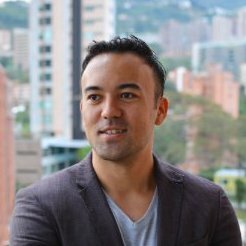 Conrad Egusa is a former VentureBeat writer and is a Global Mentor at 500 Startups, who founded Espacio with Eddie Arrieta. Espacio has been acquiring and partnering with prominent publications around the world, and in multiple languages, to create a global network of publications dedicated to covering the emerging sphere of entrepreneurs and innovation. Novobrief, founded in 2014 by Jaime Novoa, has been shinning a light on Spain’s up-and-coming entrepreneurs and is directly in line with Espacios mission. The publication features interviews with exciting startups that are prospering in their markets, the latest news, and insight into Spain’s conditions for establishing new businesses. A new generation of entrepreneurs are working on turning ideas into commercially-viable enterprises in Spain and the ecosystem is thriving. Recovering from an economic downturn, Spain has since been gaining importance in the world’s entrepreneurial scene. Improved funding and support systems help cutting-edge ventures get started. Espacio’s plans for Novobrief.com include an expansion of its editorial newsroom, investments into video content, and a series of events that will be held in 2018. “We are thrilled to be working with Novobrief and to continue the legacy that its founder Jaime created,” said Egusa.